In order to use the WCL-X100 you will first have to update your X100 to the just released v1.30 firmware that you can get here, which also fixes two operational bugs. After attaching the wide angle conversion lens you will need to enable the relevant option within the camera’s menu; the X100 will then automatically apply corrections for image distortion, vignetting and chromatic aberration. Unfortunately the flexibility provided by this accessory doesn’t come cheap. The WCL-X100 is said to retail for $350 this coming June. 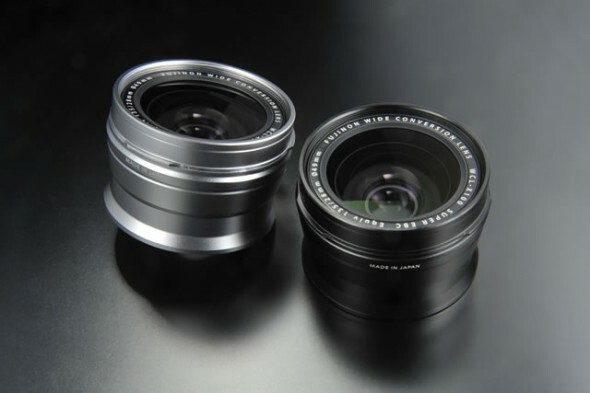 It will come in both silver and black to match the X100 Black Limited Edition. Update: You can now pre-order the WCL-X100 from Adorama here.